Long-term goals such as travelling more and visiting new places have come above healthy eating and changing jobs in a list of the top New Year's resolutions. Based on a survey of 2,000 British adults, results show 31% of people have incorporated travel into their resolutions for 2017. The poll - compiled by holiday website Travel Republic - also shows 79% of people would like to travel more while 59% do not describe themselves as "well-travelled". Visiting a place they have never been before is the most popular travel resolution, with 45% aiming to visit somewhere new this year. A fifth have set goals that get them out of their comfort zone and 18% are planning on visiting somewhere they can embrace new history and culture. Furthermore, 12% say they will be planning their main holiday for the year in January. 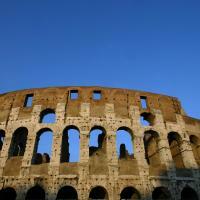 The survey reveals Italy as the most popular nation among Britons, with 20% picking the country as their top choice. This is followed by Spain (18%), North America (17%), Australia (12%) and Canada (11%). Anyone planning a holiday abroad should take out travel insurance for added peace of mind. The Colosseum in Rome was named the most popular landmark on a traveller's wish list, with 13% of those surveyed choosing the ancient amphitheatre as the attraction they would most like to visit, closely followed with the Great Wall of China. New York's Statue of Liberty (11%), and iconic Parisian landmarks the Eiffel Tower (11%) and the Louvre (10%) also feature at the top of the list.